Silicosis is a group of occupational lung diseases caused by breathing in silica dust. It is not new – Silicosis has been documented since ancient times, when miners and stone cutters were exposed to dust containing this crystalline mineral. 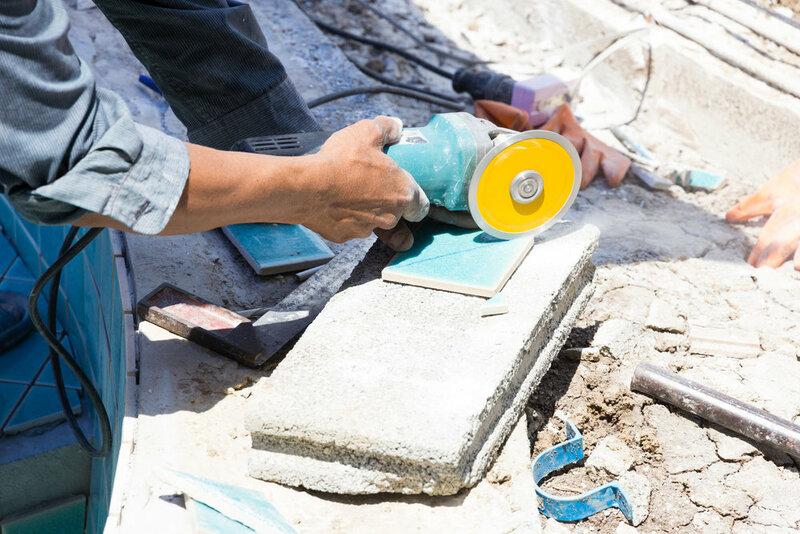 There has recently been a resurgence in cases of Silicosis, mainly concerning people who make and install engineered stone products like kitchen benchtops or tiles. This is most likely due to lack of understanding of the risks involved in working with engineered stone and a failure to adhere to safety requirements when working with this material. Silica is found in sand, stone, concrete and mortar. It is also used to make a variety of products including composite stone used to fabricate kitchen and bathroom benchtops, bricks, tiles and some plastics. When workers cut, crush, drill, polish, saw or grind products that contain silica, dust particles are generated that are small enough to lodge deep in the lungs and cause illness or disease including silicosis. Silica is one of the most abundant minerals found in the earth’s crust and is used in many products across a variety of industries and workplaces. Crystalline silica is most dangerous to health when dust is generated, becomes airborne and is then inhaled by a worker. What does this mean for business directors and officers? Directors and officers have a direct legal duty to implement and monitor systems which ensure safe working conditions in their workplaces as far as reasonably practicable. In nearly all Australian jurisdictions, there is a positive obligation on directors to exercise due diligence in relation to work health and safety. Directors and officers can be personally liable for breaches of this duty of care and the penalties can involve imprisonment and very substantial fines. Good governance practice ensures that every board meeting has work, health and safety as a topic on the agenda. For businesses where silica exposure is a risk, directors/officers must ensure, so far as is reasonably practicable, that workers and other people are not directly exposed to the airborne contaminant, or that exposure is minimised as far as reasonably practicable and not exceeding the exposure standard as defined by WHS regulations. Failure to do so can result in serious consequences, both to the health of workers and the financial viability of the business. The first port of call for workers diagnosed with Silicosis seeking compensation is to lodge a claim through Workcover. If Workcover’s investigation reveals unsafe work practices then liability can fall on the shoulders of the Directors/Owners of the business. With the recent spate of silicosis diagnoses, many business directors/officers are finding themselves in breach of their duty of care and therefore liable for damages due to their negligence. Historically and in general, public liability and management liability policies do not provide cover for silicosis risk, however it is now possible to obtain insurance cover that will protect business directors/owners against silicosis claims. How can business directors/owners protect themselves from silicosis claims? This cover provides protection against the financial risk of being found liable to a third party for death/injury, or property loss/damage resulting from negligence in connection with the business. It is now possible to obtain public liability cover that includes a silicosis extension to protect your business against silicosis claims made by contractors/suppliers. This cover protects Directors and Officers for action taken against them by employees in relation to the responsibility of managing the business and complying with all relevant legislation. It is now possible to obtain management liability cover that includes a silicosis extension to protect you against silicosis claims made by employees. If there is a possibility that you may have exposed your employees, workers or contractors to silica dust, either in the past or presently, it’s not too late to protect yourself and your business. Whilst unfortunately you can’t turn back the clock and protect the health of your workers, you can prevent the financial liability falling onto your shoulders.